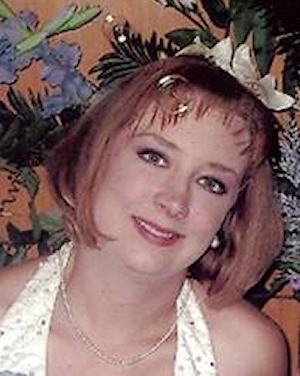 Obituary – Lancaster, Angel Michelle (Schovanec) « Perry High School Alumni Association, Inc.
Angel Michelle Lancaster was born August 1, 1977. After a brief but virulent illness, she passed into the loving arms of her Lord and Savior, Jesus Christ, on Wednesday, July 4, 2012 at 3:42 a.m.
Angel was the beloved and only child of Jim and Susanne Schovanec, Perry. She would often remark throughout her childhood that being an only child was both a bane and a blessing. As such, she had no other siblings to compete for the undying affection of her parents, but she desperately wanted a brother or sister. That was not meant to be, but God answered her prayers in an even more beautiful way. He blessed her with three life-long friends that could not have been more loyal and steadfast had they been sisters by blood. Those three friends are her cousin, Dee Canonico, her second cousin, Kelly Bailey, and dear friend, Mary Wright Graves. These three friends shared in both the joy and pain of all her ups and downs in life including being by her side in death until she drew her last breath on this earth. Angel married Jesse Lancaster on November 5, 2005. Jesse remained her loving and devoted husband until they were separated by her death. Two beautiful children were born of their union: Ellexis Taylor Lancaster, age 6, and Seth Michael Lancaster, age 2-1/2. Nothing gave Angel so much happiness as spending time with her young family, often sitting on the front porch of their home in fascination of the hummingbirds that would gather at the many bird feeders she owned. She admired the beauty and majesty of the many forms of wildlife and nature created by God. She particularly loved flowers, shrubs and trees—a love that was later expressed in gifted and creative floral design. Angel was an animal lover from birth, and that love was passed to Ellexis and Seth, who now have several pets and are constantly asking for more. One of Angel’s favorite pastimes was fishing with her Dad. They shared many happy hours during her childhood and adulthood sitting on the banks of their favorite ponds, sometimes catching fish and sometimes not, but always enjoying the companionship and sport of it. A private funeral service has been scheduled for the family and friends of the family who are loved as extended family. Reverend Clydene Williams will officiate. Interment will be at Grace Hill Cemetery. Services are under the direction of Brown-Dugger Funeral Home. Angel was preceded in death by both maternal grandparents, Anne and Clyde Rhines, her paternal grandfather, James Schovanec, Sr., and one uncle, Leroy “Butch” Schovanec. She is survived by her husband, Jesse Lancaster, children, Ellexis and Seth Lancaster all of the home; her parents, Jim and Susanne Schovanec of Perry, Oklahoma; her paternal grandmother, Mildred Schovanec of Newalla, Oklahoma; and the following aunts and uncles: Clydene and Richard Williams, of Perry, Oklahoma; Charlotte and Ray Jacobs of Morrison, Oklahoma; Rocky Rhines of Perry, Oklahoma; Bernice Bailey of Newalla, Oklahoma; Eileen Davis of Atlanta, Georgia; Joan and Glen McClendon of Atoka, Oklahoma; Pete and Teresa Schovanec of Perry, Oklahoma. She was also survived by numerous first, second and third cousins.